10 is heavenly completion/divinely realization/saintly finalization according to Chinese Numerology; and Perfection of Divine Order like TEN Commandments, biblical speaking. 10 refers to the realm of divine, angelic, spiritual and religious. Separation between religion and the State NOT only is getting harder and harder, but also fundamentally being challenged openly to the core; if not fading. It means that 2017 is the ENDING of the previous Era & the Beginning of the New Era; The Meltdown of the Old System & The Reconstruction of the New Procedure. According to Yijing, 7 always refers to a condition of switching over between the Ending and the Beginning; Between the Life and Death; Between the Mortal & Immortal; Between the God & the Devil; Between The Alpha and The Omega. According to Biblical Numerology, 7 associates with “TOTALITY of PERFECTION“ like 7 days in a week. 7 churches, 7 bowls, 7 seals & 7 trumpets in Book of Revelation. On the other hand, 7 is Gen Mountain Trigram. Gen means mountain, divider and sign of bowl(up side down). It means that 2017 is the YEAR of TOTAL DIVIDER between the OLD & the NEW; between the Outgoing & Incoming; between the Former & Current; Between the Disintegrated Barren Land & New Found Fertile Land; Between the Land of the Cursed & the Land of the Promised. Interestingly, The Sign for Seven in Yijing Trigram is a BOWL(placed upside down). Surprisingly, the 7 Bowls of God’s Wrath are mentioned in Chapter 16, Book of Revelation in the Bible. Year 2017 is catastrophic and disastrous. It is the Beginning of the Suffering for Humanity. 2 of 2017 refers to duality, bi-polar, dwi-polar, antagonism, hostility, friction, opposition, conflict, dispute, rivalry and clash. 1 of 2017 refers to forcing, piercing, invading, pressurizing, attacking, coercing and penetrating to achieve UNITY. 0 of 2017 refers to religiosity, spirituality, inner self, mental self, and self of imagination. Based on the above mentioned, the Planet Earth 2017 is going to face a very Decisive Breakthrough(which is political & economical) and Catastrophic Disasters(due to different of religions and ideologies) which will redirect and rewrite the human history. What will be the decisive Breakthrough and Catastrophic Disasters? 2016 is FIRE MONKEY (Bing Shen 丙申) according to Chinese Almanac. There are 2 Suns surround the West; one is the Sun of Obama and the other is the Sun of China. The makes many countries are trapped in between United States and China; in South East Asia and the West. Year Pillar Fire Monkey Bing Shen 丙申 refers to President Obama of United States as radiance of the Sun at 3pm-5pm before the Sunset. Day Pillar Fire Dragon Bing Chen 丙辰 refers to President Xi of China as the radiance of the Rising Sun at 7am-9am. Item 3 above spells out that United States is heading to further saturation, yet, the Sun radiance at 3pm-5pm is still strong enough to claim and assert her global hegemonic power; although downtrend is unavoidable. Item 4 above indicates that although China is on the uptrend to claim her superpower, yet the the Rising Sun at 7am to 9pm is still too soft and early to get further share of global influences. The West(Western Europe), Geng Metal 庚金 appears in the Heavenly Stem of Month Pillar, but constantly under pressure/temptation from 2 Suns(U.S and China) of both sides. This indicates that The WEST is no longer to be the sole YES MAN to U.S; especially after Paris Attack 2015. The WEST needs to be more flexible and practical due to the domestic threat they are facing, for example refugees crisis and terrorism. Besides, being burned by 2 Sun Fire on the surface apparently, the fundamental socio-politics and economics of the WEST is also facing the MOST serious downturn due to Six Clashes between Grand Duke Monkey Shen申 and Tiger Yin寅 where the WEST resides(Earthly Branch of Month Pillar). Since Monkey（Grand Duke 2016) is classified as Metal and Deity(神), hence The economics of the WEST is facing the most serious financial turbulence which is again hit by the 2 legged Tiger (Terrorist Attack) from a different camp of deity. The Six Combination between Chen You 辰酉合化金 (thru Day & Hour Pillar) indicates that there is a tendency for the WEST to be softer in dealing with RUSSIA and CHINA; because ally with RUSSIA and CHINA serves the national interest to the WEST themselves. Nevertheless, as the chart shows that WATER element is only 4+4=8% compared to FIRE 28%; the Polar Bear(Russia) is extremely uncomfortable in 2016 due to economic and military issues. Russia, the political & military champion in 2015, is no longer enjoying such a glory in 2016; as there is a sign of mild setback for Russia. 2016, Fire Monkey which is spelled out as Fire at South West(location for the Monkey). Hence 2016, portray a SUNSET scenario in general to the world. Sunset refers to the ending of certain episodes. In this respect, ISIS and a few Islamic hegemonic power in MIDDLE EAST are going to face a drastic setback or a change of regime as an unavoidable reality. This also includes Islamic countries in the North Africa. Nevertheless, Sunset also means the WORST yet to come. After the Sunset, the dark night falls. Therefore, 2016 is the year as YEAR of SUNSET for the WEST, before the Fall of the WEST into the DARKEST Night from year 2020 onwards. Sunset scenario 2016 also applies for all countries globally; yet it is more specific to the WEST and Islamic World. Countries in the Far East like China, Korea and Japan are juicing fruits while the WEST is busy with Islamic World. In this respect, India also enjoys the fruit juice as well. Yet, 2016 is the YEAR of DARKNESS for Islamic Power Expansion. Yet, this year 2016 is for Islamic Jihadists to “Fall” into the deepest valley, in preparation to raise up and cause for the WESTERN FALL in the long run which will significantly start to happen in the following year, 2017, The Fall of the WESTERN Civilization from 2020 onwards. This is because the hot Sun FIRE 28% is baking the desert sand of Middle East; besides it was hit by 2 Black Star of Sickness. This makes the the countries in Middle East tired, exhausted and fall into turmoils eventually in 2016. This year is no good for Islamic World. If you look at the chart above, you will find that the metal makes up 14+14=28%, which is very strong in year 2016. Hence, the WEST is in the upper hand when facing the threat of terrorism. As the percentage for metal(weapon)14% and Major Fire+Minor Fire(destruction)28% are added to be 42%; hence killings, wars and bombing in the name of God(Monkey is linked to deity in Chinese Metaphysics) is not only continuing, but intensifying further. Wood constitutes for 19+3 = 21% in year 2016. It means Eastern Countries like China, Japan and Korea are having a better economic growth relatively compared to others. Yet, Japan and Korea and North Eastern China may suffer from disasters due to Five Yellow. We are going to see the WEST becomes more defensive in their policies and approaches, be domestic or international politics.This is because their socio-economic and politics are seriously burned.Yet metal(28%) is helping the WEST to stay strong enough in 2016. Islamic countries is facing the problems “inside out”. Their strengths are further weakened by internal frictions rather than external threats. China on the other hand is garnering/accumulating its future strength quietly and silently. Japan & Korea are also trying their very best, yet, to a limited achievement. In short, we are going to witness a Defensive Crusader in the WEST, Divisive Jihadist in Middle East, while the Oriental Dragon is pretending to be Nice in South China Sea. Lee Kuan Yew, Singapore’s prime minister for 25 years from 1965, died on March 23 at 3:18 am local time, at Singapore General Hospital aged 91. On Sunday, 29 March 2015, The State Funeral Procession will commence at about 12.30pm and cover a distance of 15.4km to the University Cultural Centre at the National University of Singapore, where a Funeral Service will be held from 2pm to 5.15pm. You are soft wood lemon grass born in early Spring season, while the weather is still cooling. A bunch of fragrant lemon grass with a a few big trees beside on an open green pasture. Although the early spring weather is a bit cooling, yet, the presence of Sun just there to keep you warm in time. The trees(elderly and superior)甲木 are tall enough to protect you from the wind in the wilderness. Water Zi 子 from river around the pasture is sufficient to feed your daily needs. Provision is plentiful as you lemon grass is sitting on earth nicely. Zero controlling metal element( Influence) means that you have your own ideas and stand which you uphold and do not compromise. Nevertheless, lemon grass is flexible by nature. It could be very pragmatic and flexible when is confronted by wind in the wilderness. Sometimes, lemon grass is overly sensitive even though towards a tiny blow of wind. These foretell that Lemon grass is emotionally sensational and fragile, with suspicious and conservative altitude. This may make him losses some of the golden opportunities in life. As lemon grass has adequate life supplies and support, this makes him smart, sincere and organized. The extraordinary point here is Zero Metal element (Influence/Career). This does not mean that he is weak in career or influence. On the contrary, this suggests that “Bouncing /Rebounding Tendency” is forceful. In term of your social influence and career achievement, you are just like the character of “boomerang”, which power is unusual and unexpected. In fact, Zero mark means FULL marks invincibly. This suggests that you carry double characters. You like to influence and control, but with softer, diplomatic and subtle way. Nevertheless, you seldom show off the other side of your true face (usually hidden), since the Supporting Vs Opposing % is 65 against 35. This enables you to constantly hide your strength beyond public knowledge, unless one day the yearly and cyclic luck do not support you adequately, then, that is the time you should your true color. The lemon grass is 51%. This tells that you are talented, gifted and surrounded by friends (and sometimes also opponents) as low graded grass species like lallang are gripping and seizing in the same pasture for sunbathing and water mesmerizing privileges. Yet, your wisdom tells you to close an eye and be adaptive and receptive, thus, further increases your success rate in life. Within 8 characters, you have 4 Yang and 4 Yin. This is equally Balance. Your public image is very healthy. Yang Elements in Year and Month Pillars with Yin elements in Day and Time Pillars. These suggest that you could project an image of principled man with strong character, yet, internally, your nature is very flexible and changeable. Your character is a mixture of ……..
BaZi Reading – If Your Wife is Ding Fire…. Year 2015, Year of Sacrificial Lamb(Goat) is full of life challenges. It is an added value to your strength if you do have an extra supportive tool: Your BaZi Forecast. Old Chinese Idiom says : 知自知彼，战无不克. Knowing oneself and others in depth, Conquests are assured. Based on your Day Pillar, identify your strength. Then make use of your strength to face the challenges ahead. Based on your Day Master, tap into your overwhelming charisma, utilize it to fulfill your dream….. Here below, is just a glimpse for your reference, how I extract one BaZi. From there, one could optimize his/her strength. …..
You have Ox, Snake, Goat & Rooster in your BaZi. all are Yin animal zodiacs. Combination of Yin zodiac in your BaZi suggests you are a mindful and tactful person. You know how to plan the strategies well in confronting issue in life. A candle lamp in the open land during summer raining day suggests that you projects kind of warm and caring personality but with secretiveness and some hold back. 40% of Supporting Element Vs 60% of Opposing Element proposes the % breakdown of your ally vs enemy when you are facing challenges in life. Supporting Element indicates your ability to draw support (30% and below is considered weak, 40% is average and above 50% is considered strong). Day Master is 36% means you rely mostly on your own self. 4% from supporter (wood). In this case, 4% of support means in actual fact you depend on your own ability and capability more than external support. The Output constitutes 28% means you know very well in articulate your ideas and you are non-passive but aggressive in carry out a task/stuff/job. All eight characters in your BaZi are Yin; yet your Day Master (DM) and the month are also candle light propose that you are externally a bit Yin and cool; yet your emotion self and soul are warm and friendly. This kind of character is an added advantage in leadership by example. The husband is Influence (water 10%) vs 36% of DM (yourself) means that water is unable to cool down 36% of your good self easily; let making you keep burning inside out constantly. This is because if the water try to extinguish the fire 36%, the water 10% itself would be evaporated and become invisible steam or mist/moisture and further enhance the radiant of the candle light. DM is Ding Wei, Fire on top of Output and having Root. This means the person looks pretty, enjoy foods and she is a wise lady. 28% Output means she is articulate, good in “speak out loudly” and productivity. YET, this is a good and bad at the same time. Candle light is weak when the day is windy as the wind may put out the fire if wind blows too strongly. This means she tends to find comfort and shelter under strong and big tree. The willfulness of candle light sometimes also invites troubles. Nevertheless, the kind of BaZi could bring prosperity to his husband and family. Kindly be noted that all characteristics are changeable due to the move of 10 Year Luck Pillar and Yearly Pillar. Currently, you are in Indirect Wealth Luck Cycle from 2011-2021. Allow me to make a simple announcement about Malaysian Personal BaZi(Luck) 2015 Reading. Since September 2014, I have been receiving many online Personal BaZi(Luck) Reading specially from Malaysia. The inquiries getting more and more after I have posted various articles about the future of Malaysia through “MALAYSIA PROPHECY”. Most of the Personal BaZi Reading 2015 inquirers are Malaysians (East Malaysia & West Malaysia) who are agreeable to my work for “MALAYSIA PROPHECY” and with my prediction of Malaysia down the road. Most of them are professionals and businessmen in their respective field but share the same ideas as mine for “MALAYSIA PROPHECY”. HALF of the Personal BaZi Reading inquirers are of Middle Upper Class who are planning to migrate in a very near future to Canada, Australia, New Zealand, United Kingdom. This trend is no surprise now as I had witnessed to last migration wave taken place between Year 2008- year 2013. Aprrox. 95% of these inquirers are NON-Muslim. HALF of the Personal BaZi Reading inquirers are of Middle Range Income, who have no sufficient fund to migrate. They come to me to look into all possibilities including making use of BaZi and Feng Shui to buck up and boost their strength in short and medium term. 100% of them are NON-Muslim. The statistic of online Personal BaZi 2015 Reading since September 2014 till Feb 2015 from my observation, show that NON-Muslim Upper Middle Class do not think that government as well as opposition could secure a better tomorrow for their children and decided to take a drastic action to leave…… It is in fact a sad news to Malaysia…..
From these 2 contrast BaZi (personal destiny) grouping : Able to Migrate Vs Unable to Migrate; I have got many inspirations that never told by Ancient BaZi classics. From the findings, we cannot deny that human is born with inequality. It is opposing western philosophy that INDIVIDUAL is born with equality. My work shows that : NO SUCH THING about Equality of Human Race. Human race/Individual is born with INEQUALITY. As share the vision of “MALAYSIA PROPHECY”, hence my time priority will be given to Malaysians. Then follow by Singaporeans, then Indonesians. I do receive inquiries from Europe and United States. Yet, I am afraid I do not have enough time. Malaysia is experiencing the turn of LUCK CYCLE politically and socio-economically. Therefore, my priority is given to Malaysian first. To fellow Malaysians, if need your destiny reading, you may email me at [email protected]. Yet, you need to Q-up for about 7-10 working days. This is because each reading is done by myself manually. Time and compassion are need to each soul of BaZi who cry for help….. Yet, I hold the rights to accept your inquiry or REJECT. To Non-Malaysian, my apology if I cannot serve you in time. This is because we have more critical issues back in Malaysia. According to Year 2015 YiWei Green Wood Goat, no zodiac scores 6A, 5A, 4A & 3 A. This simply tells that Year 2015 in general is no good to Planet Earth for humankind in specific. Out of 6 aspects, the best result is 2A, 2B & 2C at one end, and, 2D & 4E on the other end. The best result is 2A, 2B, 2C by Tiger, Dragon, Rat respectively. This foretells that A Drastic Drop in Humanity Luck Standard in year 2015 as long as Planet Earth is concern. In year 2015, Merits and Effort are NOT the criteria to determine one’s luck as one does not have to score 6A,5A, or 4A. This is because to enter into Upper Class LUCK Status, one just needs to score 2A,2B & 2C will do. The Statistic also implicitly hypothesizes that methods of manipulation and speculation are more prevail and effective to be applied by ” Luck Winners” in order to achieve or sustain his/her status quo. This could be translated as more international issues will be resolved or instigated by “Disastrous Goat” or ” Monstrous Goat”. Tiger is the Number One in year 2015, where else Goat is Number Twelve. 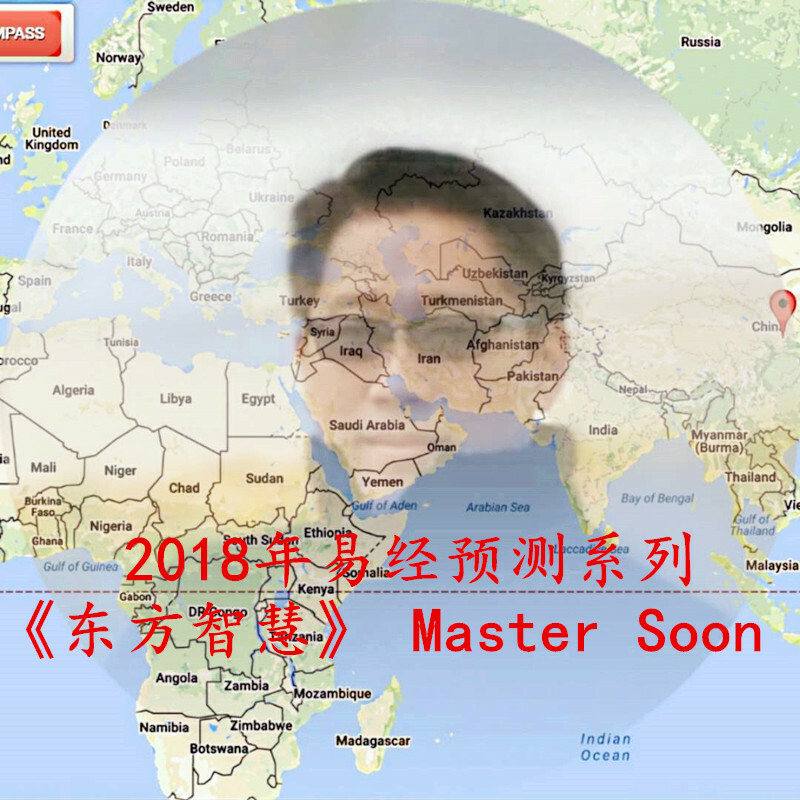 North East Asia(Tiger) refers to China, Japan, North Korea, South Korea will continue to fill the top news in year 2015 Disastrous Goat as the friction and conflict between China and United States will be instigated. South East Asia(Dragon) refers to ASEANS members as whole (Indonesia, Malaysia, Singapore, Thailand, Philippine,Myamar, Vietnam, Loas, Combodia and Brunei) + Taiwan will be very much disturbed due to assertiveness of China towards the claim of South China Sea which is facing antithesis of American foreign policy of “Return to Asia Pacific”. Russia(Rat of North) will exercise his political and military muscles more aggressively. Rooster (West) refers to Europe is located economically at Number 11. Where else, Abrahamic descendants (symbolized by sacrificial animal of Goat) is located at the bottom of the list, scoring 2D & 4E in term of politics, economy and military. There are more predictive scenarios and high possibilities from the chart above; yet, I think many readers could not take the scary outcomes…. Kindly be noted that professionally and metaphysically, Chinese Zodiacs system is more for World Socio-Politics & Global Prediction rather than personal luck reading. Chinese Zodiacs are about the movement of Grand Duke, the Jupiter in relation to the Planet Earth. If you are seriously concerning for your Personal Luck, you should look for BaZi reading instead of 12 Chinese Animal Zodiacs. 12 Animal Zodiacs divide the Planet Earth into 12 Time Zone and 12 Segments, in relation to Jupiter Movement based on Beginning of the Spring, Lichun 立春 04 Feb 2015. Nevertheless, reading 12 Chinese Zodiacs as a fun for personal luck is always very entertaining….. but, not inspiring………. On the contrary, if you are able to read 12 Chinese Zodiacs from Planet Earth perspective for Global Peace and International Politics, then, your wisdom will be lifted on high and may your mind be inspired for the very TRUTH of Humanity. Having completed years of research in the“unknown, untold and unconventional”,Master Soon, shares meaningful insights on“How to redesign & reinvent your luck”. His method on “Destiny Reinvention” to corporate level on top of social strata until personal level at various segments of the public has touched many souls.